Richard is a professional composer, conductor and creative workshop leader. His work ranges from opera and choral music to interactive video and music installations. Richard has also written and recorded scores for feature-length films. At the heart of the contemporary music scene in Bristol, he regularly composes music for ‘Elektrostatic’ an acclaimed series of new music events at the Colston Hall featuring the Bristol Ensemble working with visual artists, vocalists and musicians from other genres. 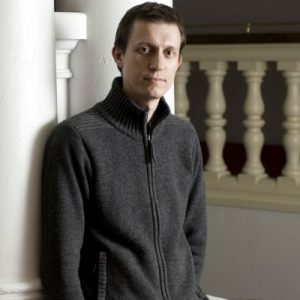 He recently composed and conducted his first hour-long opera The Journey for Welsh National Opera MAX. Other commissions have included music for Opera North, Bristol Ensemble, Bath Pump Rooms, Bristol Cathedral Choir, Christian Forshaw’s Sanctuary project, Bristol Voices, Kungsbacka Trio and New Bristol Sinfonia. He regularly leads and works on high-profile national and international education projects in universities, schools, colleges and prisons, working with Opera North, Welsh National Opera, Philharmonia Orchestra, Manchester Camerata, Music Theatre Wales, London Sinfonietta, SPNM, Bath Festival and BBC Proms.